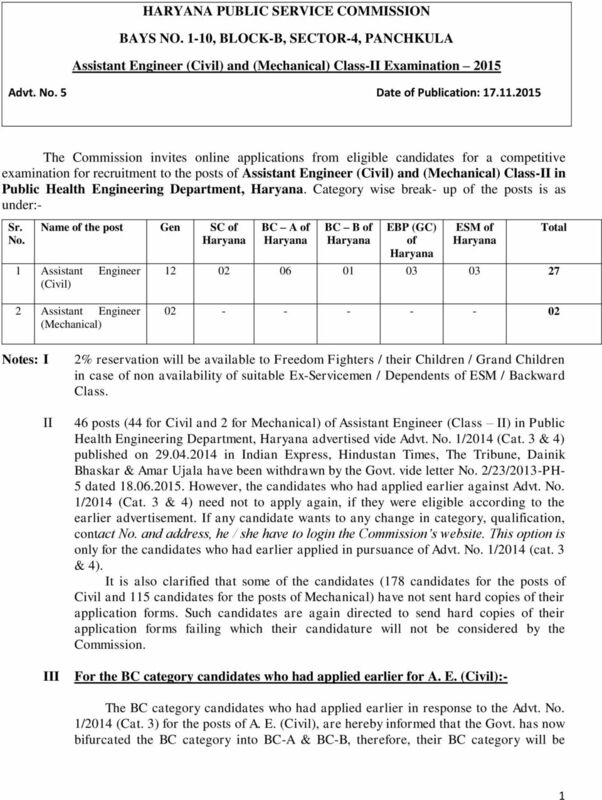 Download "HARYANA PUBLIC SERVICE COMMISSION. BAYS NO. 1-10, BLOCK-B, SECTOR-4, PANCHKULA Assistant Engineer (Civil) and (Mechanical) Class-II Examination 2015"
HARYANA PUBLIC SERVICE COMMISSION, PANCHKULA. 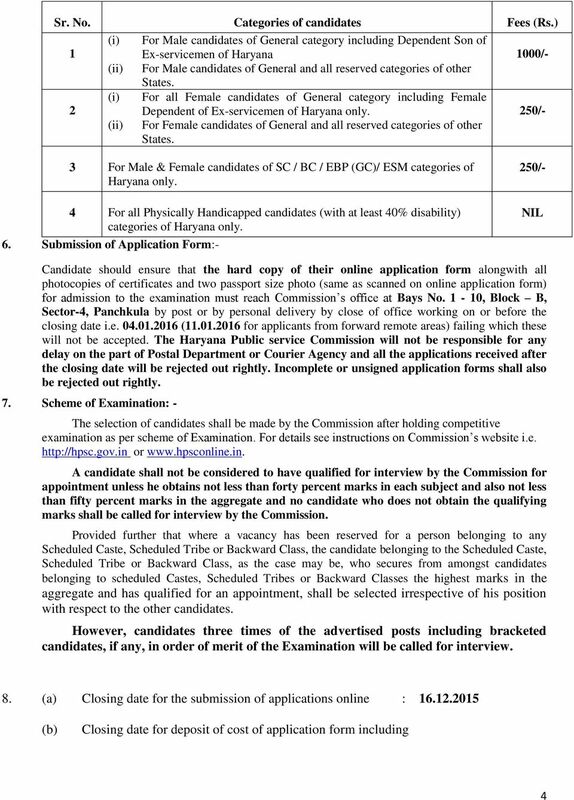 INFORMATION FOR CANDIDATES TO ADVT. No. 10 Advt. date 16.02.2016 Closing Date: 15.03. Applications are invited from the eligible candidates for filling up various group A S&T vacancies given below. ICAR Indian Institute of Millets Research Rajendranagar, Hyderabad 500 030 Ph.No. 040 24599300, Fax 040-24599304, email: millets.icar@nic. GAIL (INDIA) LIMITED GAIL BHAWAN, SECTOR -6, VIDHYADHAR NAGAR, JAIPUR 302 023, RAJASTHAN PHONE: 0141-2230347/617/698. ADVERTISEMENT. Advertisement Published in Employment News & Rojgar Samachar issue dated 09-15 January, 2016. General Instructions, Selection Criteria and Essential Information 1. Candidate shall submit single application form for the vacancies in different Society Polytechnics in prescribed Proforma attached. 1. Assistant Registrar (IT) No. 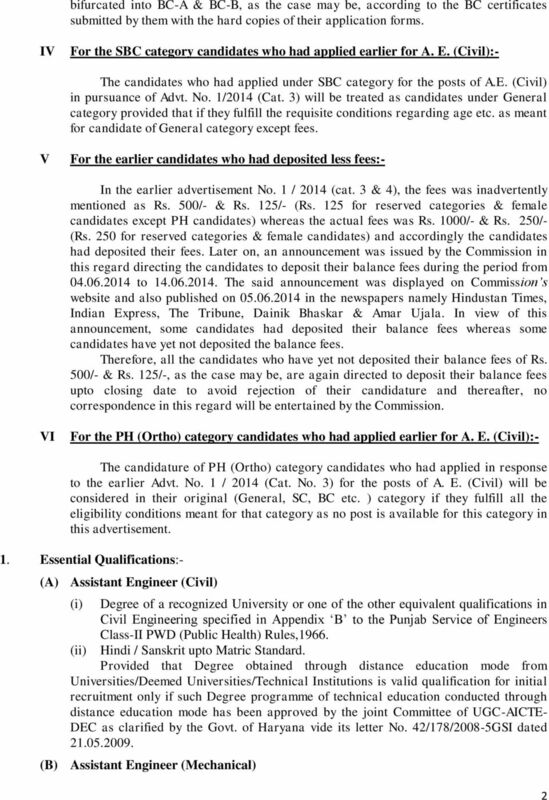 of post - 01 (Unreserved) Pay Band of Rs. 15600-39100+5400 G.P. HARYANA GOVT. GAZ. FEB. 23, 1999 (PHGN 4, 1920 SAKA) HARYANA GOVERNMENT GENERAL ADMINISTRATION DEPARTMENT GENERAL SERVICES. Sr. No. Particulars Date. 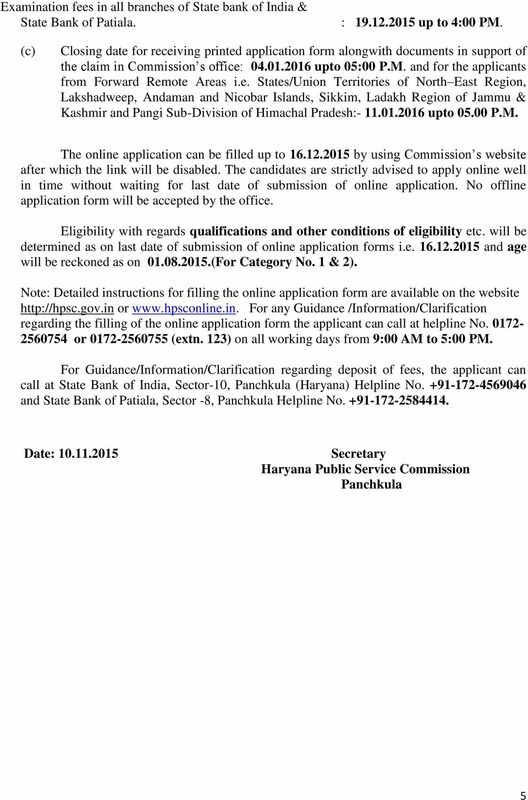 1 Start date for submission of Application form 25.11.2015. 2 Start date for deposit of fee by the candidates 25.11. Note: Government strives to have a workforce which reflects gender balance and women candidates are encouraged to apply. Advt. No.06(Aug)/2014 MAHARASHTRA STATE POWER GENERATION COMPANY LTD. INVITES APPLICATIONS FOR THE FOLLOWING POST Name of Pay CATEGORY WISE RESERVATION Gr. SC ST VJ-(A) NT-(B) NT-(C) NT-(D) S.B.C. O.B.C. 2. The above posts are subject to all India Service liability including field service. Eligibility Educational Qualification. Recognized Degree in Electrical Engg. OR Electrical & Electronics Engg. Advertisement for Appointment UTTARAKHAND STATE INFRASTRUCTURE DEVELOPMENT CPATION LIMITED (USIDCL) USIDCL is an undertaking of Government of Uttarakhand with a mandate for infrastructure development viz. BANGALORE ELECTRICITY SUPPLY COMPANY LIMITED (Wholly owned Government of Karnataka Undertaking) Corporate Office, K.R.Circle.